Some industrious little so-and-so over on NeoGAF have got their hands on the latest issue of Game Informer magazine, which features the full skinny on Assassin's Creed III, with story and gameplay details galore. 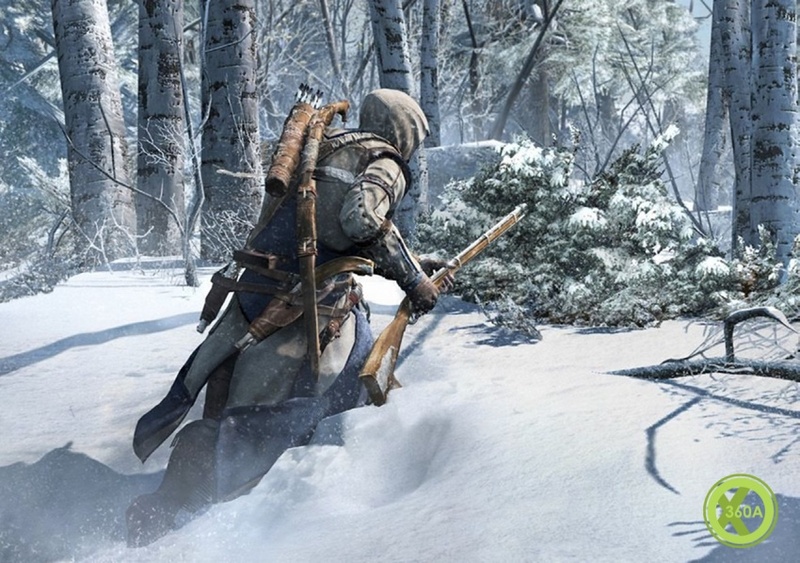 According to GI's feature, the game's new hero is a half-English/half-Native American assassin called Connor and he'll encounter and interact with a number of key figures from the American Revolution period, including George Washington and Benjamin Franklin. 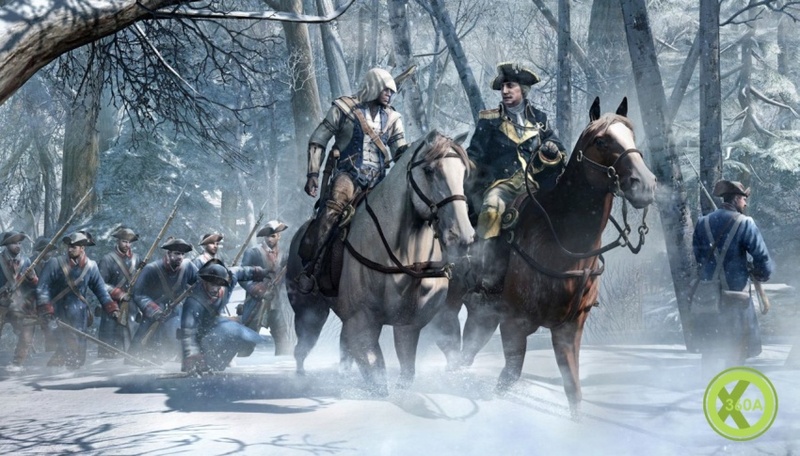 Assassin's Creed III will be set in and around New York and Boston between 1753 and 1783, which will see Connor growing up from a young boy on the American frontier, where he's raised by the Mohawk before leaving to confront the Templars after his village is burned down by white colonists. 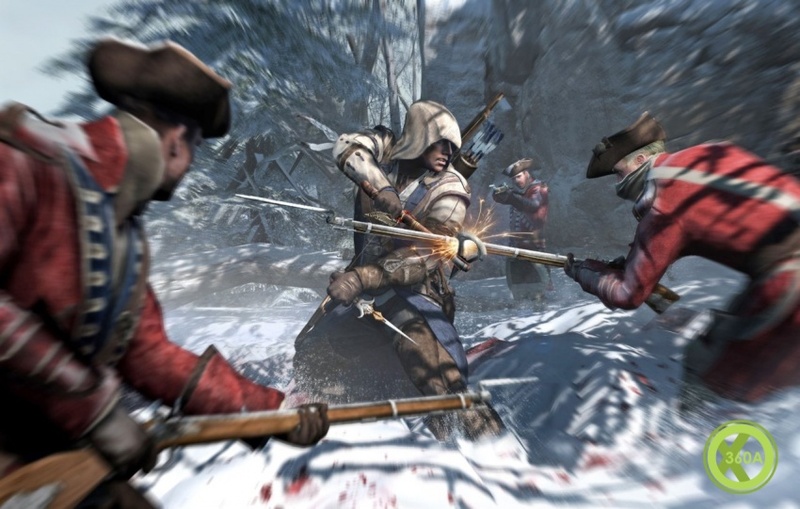 Ubisoft is apparently also aiming to make Assassin's Creed III feel more like Assassin's Creed 3.5, with a completely overhauled engine allowing for improved facial animation and large battle scenes featuring loads of soldiers on screen at once. And not all of the game's British colonists will be pure evil either. You'll meet some nice ones too. New hero called Connor/Ratohnhake:ton (pronounced Ra-doon-ha-gay-doo). He has an English father and Native American mother. More details about the protagonist/scenarios: You will experience Connor's childhood on the American frontier as he is raised by the Mohawk. The Mohawk eventually clash with white colonists who burn their village down, causing Connor to dedicate his life to confront tyranny and injustice. Uses a new version of the Anvil engine that can "depict thousands of troops engaged in bloody battle" along with highly detailed face close-ups. They later imply that if they used version numbers, they would be like going from Anvil 1.0 -> Anvil 2.0 or something of that nature. Benjamin Franklin: He's not a convenient inventor a la Da Vinci. The game is set between the years 1753 - 1783 and is centered around the cities of Boston and New York. "It's not just going to a historical building now; it's going to a historical event." "You will see the great fire of New York. You will visit Valley Forge as a location that is currently occupied by Washington's forces. You will visit these places in the moment that they were important, and hopefully, experience the reason why we know where they are today. That's the goal." The overall story is still centered around the Assassins versus the Templars and Connor's journey. Not all the Colonists will be cast as good people, and not all the British will be cast as evil oppressors. They're trying to focus on how both the Assassins and Templars viewpoints exist in a gray morality as the Templars really believe they're saving the world. There's going to be some new puzzle thing like the first person Tetris. There's a new Animus database known as Animus 3.0. Full synchronization returns, but with major tweaks. Missions have checkpoints, You also get significant rewards for doing these tasks instead of a 100%. "Imagine a leveling system in an RPG, except there's a finite amount of XP to find. The more in-sync you get, the more you fill your sync bar. Within each mission, each activity you complete has a value". You can replay everything to increase your score. Aligned groups are gone, but something new is replacing them in regards to factions. They don't say what. There's a new notoriety system that is more hidden and doesn't penalise you for exploring risky areas. Don't expect more den defense. You can upgrade Connor's gear and costume as the game goes on in an attempt to make it feel more authentic. The tomahawk and knife are a "constant presence" in battle. They also let you do double counters and multiple takedowns, and you can chain kills. There is a new sprinting system also, so you can hold the button to instantly turn around and start fleeing from combat. They also let you kill people while still moving so you can keep chasing a target. They kind of imply you can even leap off of them after you kill them, though I'm not sure if that makes you faster or just doesn't impede your movement. They're aiming for accuracy by having historical dialog consultants and actual Native American actors. They want the game to feel like AC3.5, and the game will have its first version complete in just a few more weeks, at which point they're going to spend the rest of their time refining it. Aha! For some reason I thought they were doing this down south during the civil war. I guess I got a little mixed up. The revolutionary war is much better. And Ben Franklin was a seriously cool dude...way ahead of his time. Okay, that makes me a little happier. All the more intriguing. I'm guessing there will be some reference to the Free-Masons and the origin of American conspiracies.... I'm sold on this series as it is, but if they touch on those points, even a little, it'll make the experience even more sweet. There's a pre-order incentive for Assassin's Creed III doing the rounds at North American retailers Best Buy and FutureShop, where putting down a $5 deposit for the game will bag you an exclusive ACIII steelbook to take away with you there and then. 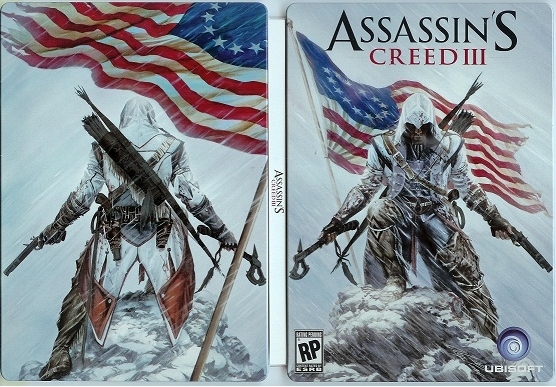 To obtain a steelbook case, all you need to do is grab one in-store, slap down your five bucks and then you can take the case home and admire the lovely artwork, thinking ahead to popping the Assassin's Creed III disc into its empty slot come October. The five dollar deposit will also be deducted from the price of your ACIII purchase when the game launches. 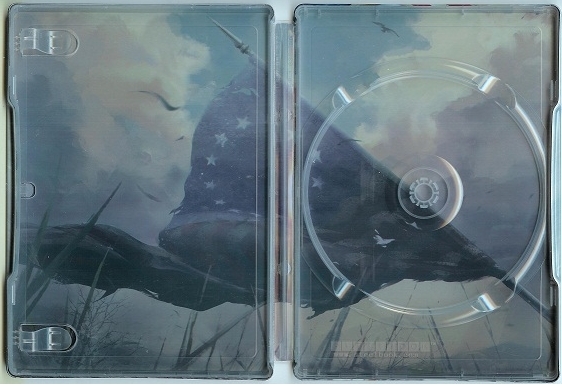 You can check out a picture of the steelbook case below. The cases will be available from March 10th. The first trailer will be unveiled at 5pm GMT today. 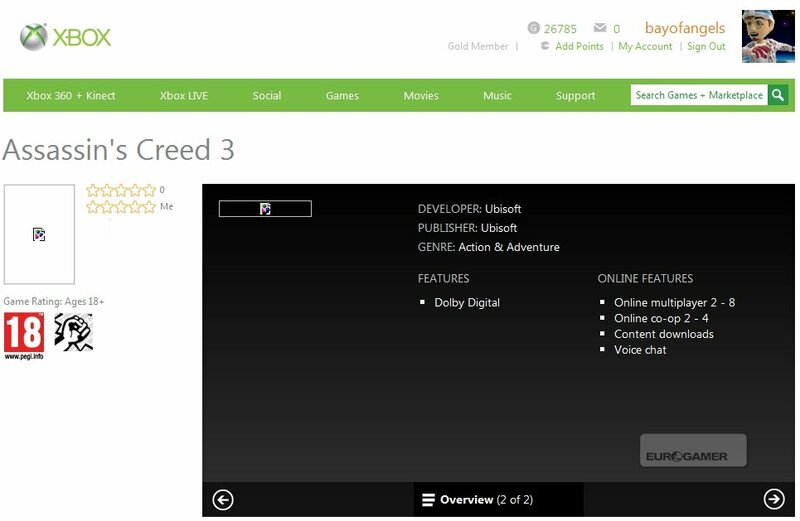 That's according to Microsoft's Xbox.com product page for the game, which details the online features. Online co-operative play for two to four players is mentioned. Is this a separate wilderness-roaming mode, similar to Red Dead Redemption? Or perhaps your friends will be able to join your campaign at certain points? Standard online multiplayer for up to eight players will also return, similar to the last two Assassin's Creed titles, Brotherhood and Revelations. Ubisoft has yet to announce any details on multiplayer for the game. We've asked for confirmation and will update if we hear back. 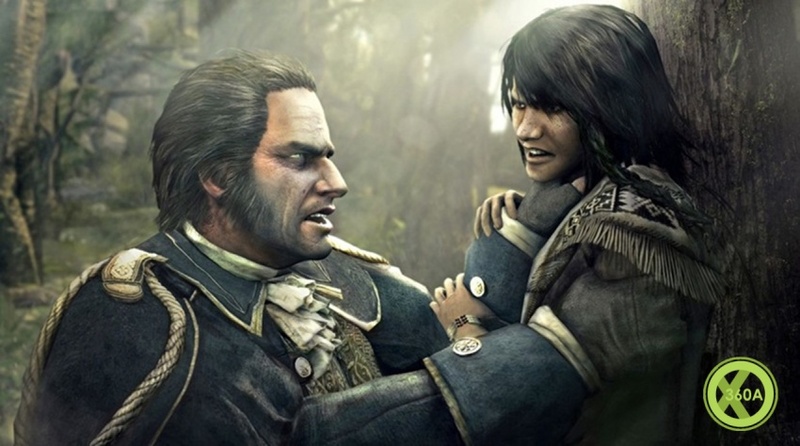 Assassin's Creed 3 features a new half-British, half-Native American protagonist named Connor and is set during the American Revolution. Ubisoft revealed the first trailer last night. Placed down a pre-order for this today, nice steel case - just got to thinking, there most likely won't be many "Leaps of Faith" in this one, what with the lack of buildings and towers. Either way, that trailer looks sweet and the 4 player co-op could be interesting too. Not that it means anything, but it's interesing that the steel case has a "RP" (rating pending) printed on it, I'm guessing there may be a switch at purchase time. Conspiracy fans will know about the apocryphal tales surrounding the Freemasons and their involvement in the American Revolution. Many of the Founding Fathers were members, including George Washington, John Hancock, Benjamin Franklin and Thomas Jefferson. According to legend - and paranoid conspiracy websites - the Freemasons were secretly manipulating the Revolutionary War for their own sinister financial gain. Fact or fiction? We'll leave that for you to decide, but the Assassin's Creed writers - who regularly weave famous conspiracies into the series' mythology - will almost certainly touch on the subject. Will we discover that the Templars are actually in cahoots with the Freemasons? It's worth remembering that while Assassin's Creed uses real events from history, it's also a series with a lot of strange, paranormal elements; the Apple of Eden, the First Civlization, the Animus, and so on. So don't expect the third game to be a totally accurate historical document. There'll be some weirdness too, and possibly some aliens. Sweet... I'm sold twice over.